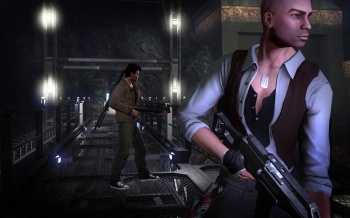 Funcom pins its plummeting share prices on The Secret World's MetaCritic performance. The MMO merchants over at Funcom aren't having a particularly good week. The company's share price has halved over the past few days, and according to a recent investor relations update, MetaCritic is to blame. "Following the launch of The Secret World on the 3rd of July 2012, Funcom's share price has decreased significantly," reads the update. "The company attributes this mostly to the aggregate review score, the "Metascore", for the game at MetaCritic (www.metacritic.com) together with other public sources for tracking the performance of games." The company goes on to add that the game's score of 72 out of 100 "must be considered low" and isn't in line with the positive feedback the game received during its beta phases. While you might question its decision to call a solid seven out of ten "low," Funcom may have a point. The Secret World is one of the few games on MetaCritic with a user review score higher than its professional one. The current user score stands at 8.4. For reference, our own Paul Goodman gave the game a hearty four out of five. "A game like The Secret World, which is not based on a well-known brand, is normally dependent on positive press reviews to achieve successful initial sales, in addition - but not limited - to other factors like word of mouth," continues the press release. By this point, you're probably at least a couple of sentences into your comment predicting that the game will go free-to-play within the next eight minutes, but things aren't quite that bad. The game's sales aren't matching Funcom's expectations, but the included real-money shop is making more than expected. Also, The Secret World costs less to run than Age of Conan, which struggled on for around three years before going free-to-play. To try and scrape some money back, Funcom has put the game up for sale on Steam and is currently "implementing several cost-adjustment initiatives due to the expected lower initial revenues from The Secret World to secure future positive cash flows."